In : Community, Let's talk E-juice! What are e-liquid novelties? The editorial team of Vapoteurs.net presents the new juices that you have the opportunity to taste in this month of March 2017. All manufacturers or professionals of the vape who wish to include their novelties here can contact us on the address " Batch@vapoteurs.net To present their nuggets. - The Havana Feevr is temperamental, sweet and full-bodied. This Cuban Classic is accompanied by a light vanilla cream and will not leave you indifferent. - The Zest Tart Feevr is a real lemon meringue pie on its broken dough; of a perfect realism. - The Loly Pop Feevr is a popcorn cone covered with a subtle salted butter caramel sauce. - The Wooba Feevr is a strawberry candy and watermelon acidulated and enhanced by a strawberry tip in expiration. And yes ! He is coming ! 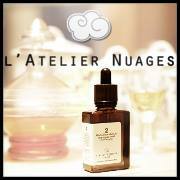 The brand new e-liquid from Atelier Nuage. This French brand that has already impressed the taste buds of many vapoteurs has presented its new juice to die for: The tender calisson with candied elderflower. And what to say .... This is once again a success. This one will be to discover very soon. 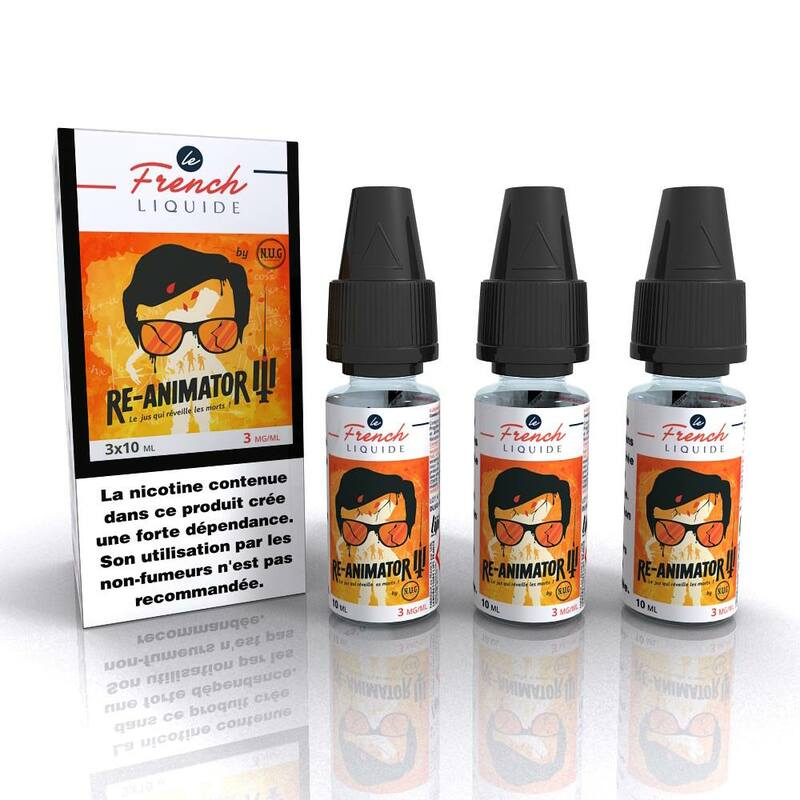 This new range of E-liquid France offers us 4 fresh references that smell good summer. – Lemon Orange Mandarin : A tasty citrus mix combined with an Xtra Fresh effect that will make you feel on vacation any time of the year! – Cola Apple : A surprising mix of the famous sparkling beverage and the sweet taste of apple combined with the Xtra Fresh effect. – Blackcurrant Mango : A delicious combination of the tangy taste of blackcurrant and the sweet taste of a mango with an Xtra Fresh effect. – Lemon Cassis : An excellent e-liquid mixing the tangy flavors of lemon and black currant with the Xtra Fresh effect from the Fruizee range. MAGIC ACID RIDE - 2 E-LIQUIDS US TO DISCOVER! Magic Acid Ride are two completely crazy American recipes that can be both gourmet and surprising. Created in the USA and produced in France by Fuu, PB & Cray and Hairy'Nanas will not leave you indifferent (e) to test emergency! - The HAIRY'NANAS in 80Vg the banana represents a potential until now poorly explored. The little guys at Magic Acid Ride have made a marvel of delicacy by adding notes of cake and nuts, a good ladle of butter and a little mystery. In short, it dribbles endlessly and we recommend it warmly. 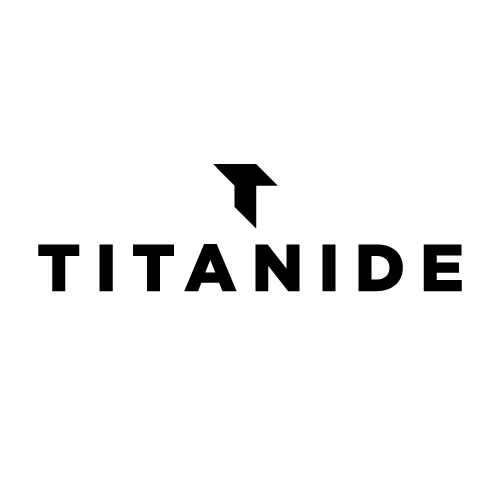 TITANIDE - TWO FIRST PRECISION E-LIQUIDS! - The Diamond Strawberry is precise donut with oily strawberry jam to perfection! These e-liquids presented at Vapexpo should very quickly make their appearances on the market. Packaged in a bottle of 10ml, they have a composition of 80% Vg for 20% Pg. The new e-liquid from Ambrosia Paris « The beautiful plum "Was presented at Vapexpo and met with great success. This new e-liquid is expected to appear in stores in April. Another novelty that was presented to Vapexpo by the French Liquide team. After two versions that have made a box, the Réanimator is back for an 3me opus. This time it is an alternative meeting of red fruits, citrus and aloe vera that we will find. Wait a little longer, it happens very quickly in your shops. FUU - DISCOVER THE VAPE TRIX, A GALLIC E-LIQUID! Fuu presented at the Vapexpo his new juice 100% Gaulois, the " Vape Trix Which is a cereal gruel with blue berries and mead. 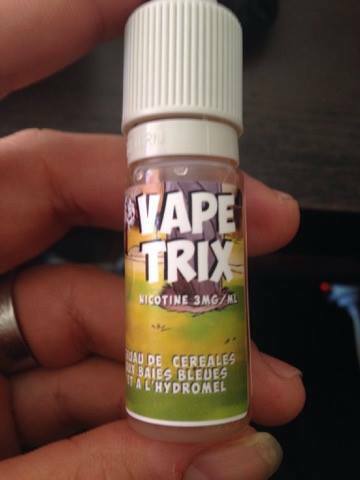 With its composition 80% VG / 20% PG, the Vape Trix should be available soon. – Cordovan : Alfaliquid Cordovan e-liquid, its classic brown aroma accompanied by a light woody and floral note will suit cigar lovers. 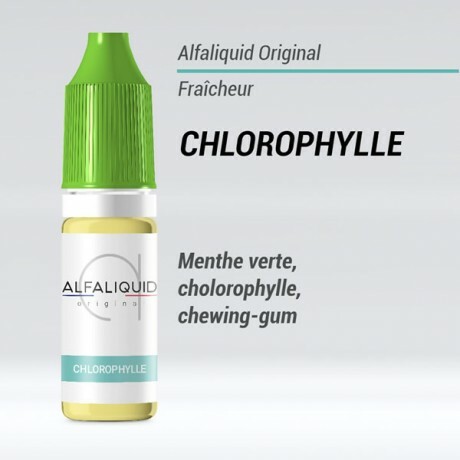 – Mint : Alfaliquid Mint Mint is recognizable by its refreshing taste for a more pleasant vape and a feeling of irritation mitigated by the anesthetic properties of mint. – Fresh mint : a refreshing flavor with a good hold in the mouth. – Icy Mint : Liquid Mint Glacial is a fresh flavor from the Alfaliquid Original collection. A tasty combination of ice-cold mint and chewing gum that will suit both vape and expert apprentices. – Eucalyptus pine : At the heart of the Vosges forests, the Alfaliquid Eucalyptus Pine flavor of the Alfaliquid Original collection cleans and invigorates.